The historic Bowes Building has been renovated and reborn, thanks to the collaborative effort of our team and the building’s owners. 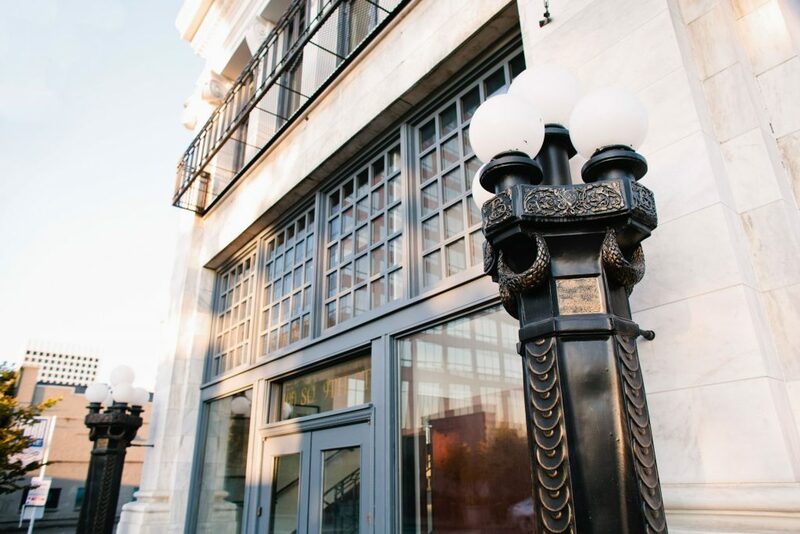 A standing monument to the history of downtown Tacoma, the Bowes Building has endless stories to tell – from the early development of the city to the entrepreneurs who continue to make it the City of Destiny. If these walls could talk, they would tell a 100-year-old tale of standing prestige which earned the Bowes Building a spot in the National Historic Register and the Tacoma Register in 1979. These walls honor namesake and developer Major Edward J. Bowes, a national celebrity in his day on account of his “Amateur Hour” radio program. The white Vermont marble glorifies the Italian Renaissance era. The foundation embraces land previously sanctioned for the transcontinental passage under the Northern Pacific Railroad land grant in the late 1800s. The quirky, long and narrow layout reflect retired building codes. It was designer Frederick H. Heath who insisted the most scenic, although shortest, side of the building be reserved for private office space to greet the view. Heath would go on to design the famed Stadium High School and other popular Tacoma landmarks. 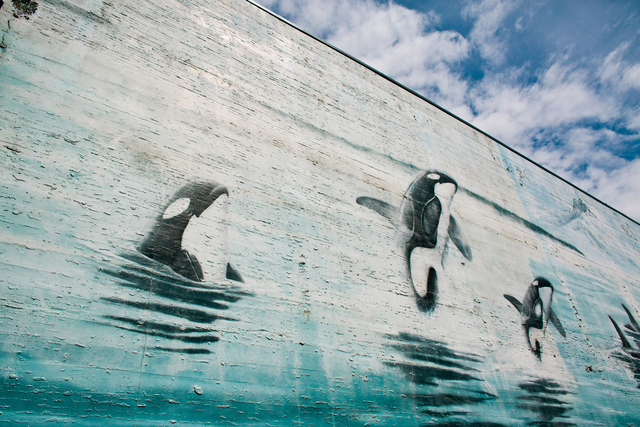 If these walls could talk, they would insist you circle the outer south side of the building to stand in the presence of the 45-foot-tall, 120-foot-wide “Washington Orcas” mural. The stunning imagery was painted in the 1980s with $20,000 worth of materials, by none other than renowned environmental and marine life artist Robert Wyland. The Bowes Building’s exterior is marked with the 21st of his 100 marine-conscious murals. If these walls could talk, they might boast of creativity, cultivation, economic growth, brainstorming and strategizing from a long list of public figures and licensed businesses who found themselves at this address. Over the years, those occupants have included: Pacific Bldg. & Loan Assoc., M. Schmidt & Son Merchant Tailors, Tacoma Savings & Loan Assoc., All About Travel, Pacific Rim Restaurant, Zeppo Italian Restaurant, Seven Cities Restaurant, and now EPIC. If these walls could talk, they would speak highly of those who worked here before and the ideas that transpired under this roof. This location fostered Tacoma growth and entrepreneurial prowess for over a century, in a space where architect, artist and executive immortalize. As the downtown Tacoma neighborhood continues to grow, the Bowes Building remains strong and proud. Unfortunately, these walls can’t speak for themselves, so we’re honored to tell the history and share a hand in the future. Stay tuned to our Tuesday email thread over the next few weeks as we countdown to the ceremonial ribbon cutting on Thursday, September 22nd and launch the Bowes Building into the next chapter of success.